ENJOY TENNIS is the Tennis Ireland programme for players with a disability to learn and enjoy playing tennis in clubs around Ireland. Enjoy Tennis is a project developed by Tennis Ireland in conjunction with service providers, including Stewarts Care, Carmona Services, St Michael’s House, Cheeverstown, Festine Lente, Sunbeam and Lakers. The goal was to create access to tennis for 400 people with an intellectual disability by the end of 2016, and to do so in a way which enabled the players to continue playing in their clubs on a long-term basis and become involved generally with their clubs. 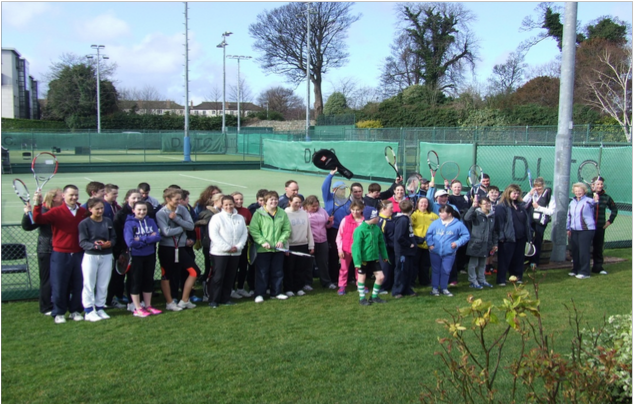 At the beginning of 2015 the Enjoy Tennis Programme was initiated by Liam O’Donohoe Leinster Tennis. The programme has proven to be very successful for the players, service organisations, coaches and clubs involved and is now being rolled out nationwide. (ii) Players who are Blind or have significant vision impairment (in conjunction with Vision Sports Ireland). (iii) At the National Rehabilitation Hospital, and in conjunction with the Irish Wheelchair Association (IWA), we successfully piloted tennis as part of the Hospital’s rehabilitation programme for patients with Acquired Brain Injury and Spinal Injuries. (iv) Successfully piloted using a tennis camp as a means of Respite Care at DCU. 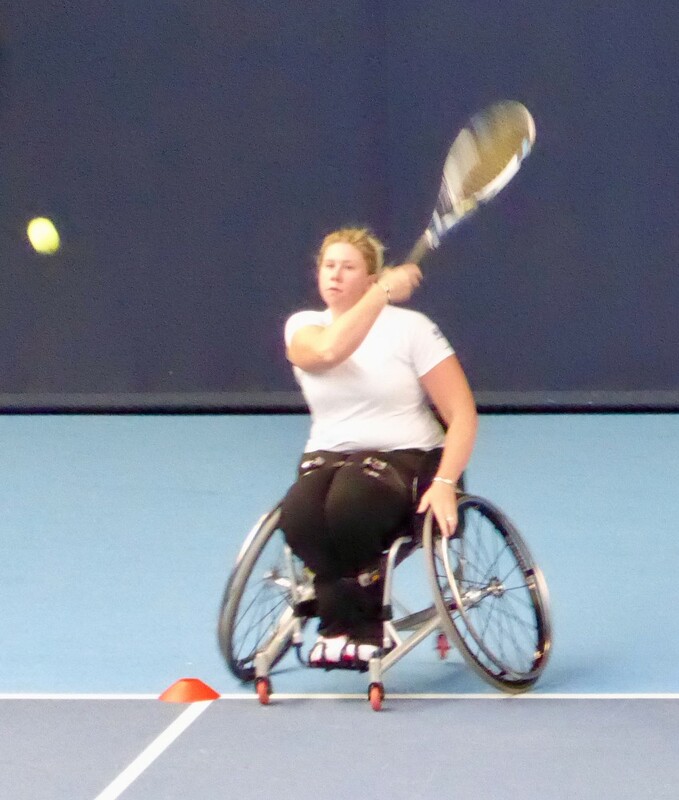 Tennis Ireland has incorporated disability tennis into the Level 1 coach education curriculum. To support the existing clubs and groups and develop the programme further we have recruited five part time regional Enjoy Tennis Development Officers (contact details below). 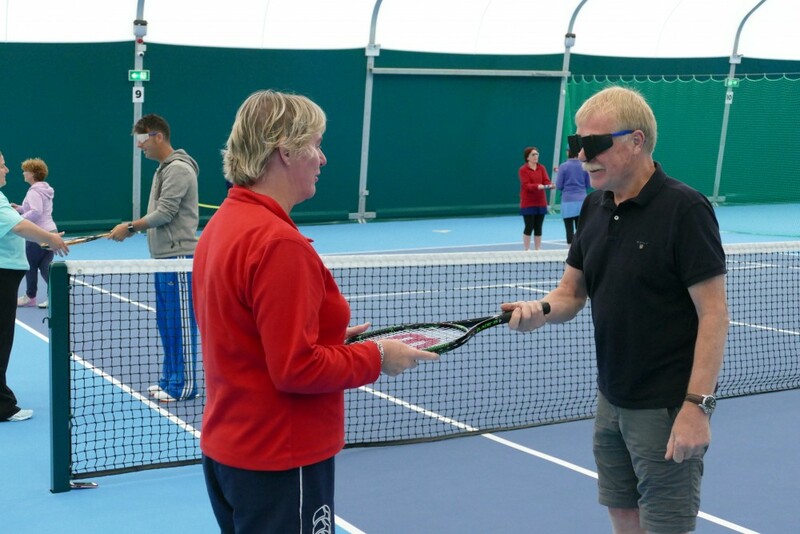 Our thanks to Sport Ireland for significant funding this year for the implementation of the Blind/Vision Impaired Tennis and ABI/Wheelchair Tennis. (€40k) from the NGB Dormant Accounts competitive fund. Tennis Ireland’s services for disability tennis will continue to grow for the 50 clubs, their members, coaches and players. (i) In conjunction with Cara and the Local Sports Partnerships provide free disability awareness training for 200 volunteers and coaches. (iv) Financially support the cost of new groups in the clubs. We will roll out nationwide the new strands of disability tennis and deepen our coaches’ capability and knowledge in these areas: Blind Tennis, Autism, Acquired Brain Injury, wheelchair tennis. Develop further the competitive structures for the players including an Irish team competing in an International Blind Tennis Tournament in May 2017. Commission independent research into the impact of the Programme and how to improve it further. Building on the initial successful experience in 2016, extend the collaboration model that has been developing with the Local Sports Partnerships. 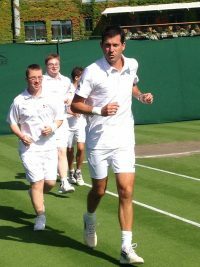 Work with the Special Olympics Ireland team to prepare for the introduction of tennis as a Special Olympics Sport in Ireland. As the Enjoy Tennis Programme continues to grow, we will continue to implement best practice, governance and financial management systems. We will support the clubs to identify long term funding sources for their Enjoy Tennis Coaching. Facebook page at https://www.facebook.com/enjoytennisireland/ will give you further information on the programme and allow you to see/hear players talk of their experiences.